QR codes are quickly becoming a common popular approach to get people more engaged in your store. It is also a way to enable them to stay in contact creating a customer base with more brand loyalty. When your customers or potential customers do things such as join your email list or ‘like’ your page on Facebook, you are building one of the most valuable assets a business can have nowadays, which is a social media and content marketing following. If you are not already using QR codes you should know more about them to learn how to build your email list. The first thing you may be wondering is what exactly QR code is. You have probably already seen the square barcode displayed in local establishments. QR code stands for Quick Response Code and is a two-dimensional code used to store a great deal of data. It can contain numeric, alphanumeric, binary and Kanji information as well as supported extensions of practically all other types of data. Most commonly this type of code is used by customers with their smart phones or even Nintendo 3DS. So, why should you use QR code? To get your customers or potential customers connected and to build your email list. The other benefits of this are that it is friction free for users and that is increasingly popular now. It is an advantage your competition will have over you if you do not have it in use for you. You can get a QR code that will direct people to your website and even directly to a sign up page such as a form or to an email list sign up. There are websites that can help you get your codes in place These code generator sites like Kaywa will help you create the QR code you need so people can use their mobile devices with cameras to scan your barcode. The best part is you can get your individual QR code designed at no cost. So what can you use as incentives to get people involved? With a QR code, you can offer things such as discounts or have giveaways. Offering prizes through contests or getting customers signed up for your rewards program is another great way to provide some great incentives. As far as marketing for local retailers goes, you can’t get much more in return from an investment that costs nothing. Utilizing the point of sale signage is also a way to get the word out. When it comes to inbound marketing and running your business, it is important not to lose sight of making sure your local customers can find you. SEO and other details are worth focusing on, but you also need local customers finding you and joining your email list. 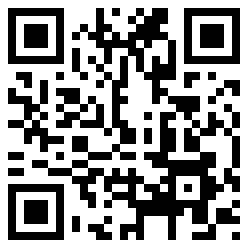 Using QR codes will help your customers stay linked to you as well as help you get the word out about your business. → SOPA and PIPA May Be Down, But Are They Out?